airberlin is continuing to expand its service to and from the US offering a total of 84 non-stop flights to and from its international hubs Berlin and Dusseldorf, Germany. 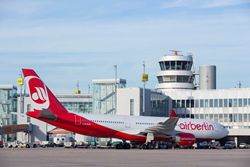 airberlin expands its flight offers from the US to its hub Berlin-Tegel. airberlin is continuing to expand its market leadership in Berlin-Tegel and is offering more flights to Miami and New York (JFK) in the coming summer schedule. As of April 13th, 2017, the ten flights a week originally planned to New York will be supplemented by four flights, so that two daily flights will be available on each day of the week. There will be five flights a week to Miami instead of the previously planned three. An Airbus A330-200 will depart from New York (JFK) at 17:10 each day, with seats in both economy and business class. In business class, passengers will enjoy full-flat seats, a three-course menu and quality drinks and wines. However, the time will also fly by in economy class until the plane arrives in Berlin at 07:00 on the next morning, thanks to 46 XL seats with 20 per cent more legroom. The second flight leaves New York at 23:30 and arrives in Berlin at 13:20 local time. The connection from Miami to Berlin-Tegel, which this year will be available for the first time year round, will increase from three to five weekly flights from mid-April. An A330-200 will take off from Miami at 15:55 am on Tuesdays, Thursdays and Saturdays and land at 07:25 local time in Berlin. The flights on Thursday and Sunday take off at 15:55 and arrive in Berlin at 07:25. From the beginning of May 2017, San Francisco and Los Angeles - airberlin’s two Californian destinations - will be introduced to the schedule with three and four flights respectively per week taking off nonstop to Berlin in addition to the existing flights to Dusseldorf. Overall, airberlin will offer 84 non-stop flights per week to and from eight destinations in the USA in its summer schedule 2017: to New York (JFK), Boston, Orlando (new), Miami, Fort Myers, Chicago, Los Angeles and San Francisco. All flights are very well integrated into the airberlin route network, so that a large number of connecting flights within Germany and Europe are available. Tickets can be booked at http://www.airberlin.com, by phone at (917-261-3165 local rates apply) or at a travel agency.